The days of outbound marketing methods such as buying ads, sending mailings, and hoping for a small conversion rate for all your invested time and efforts have come to pass, and now we help bring the customers to you. Inbound digital marketing provides your targeted clients with content that they can use, engage with, and more importantly return for more. This content will naturally draw in customers who would benefit from your product or services, introduce them to it and draw more traffic to your site. 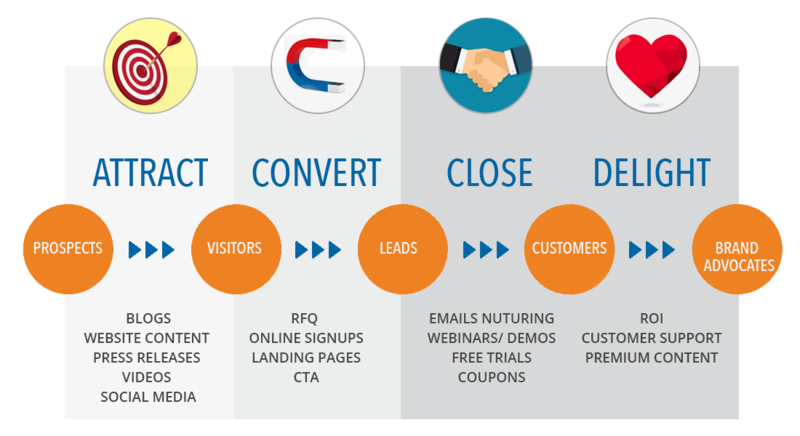 From this traffic you will be able to gather leads, convert them to customers, close the sale, and ultimately delight your customers. At Red Lab Media our top priority is customer satisfaction. We will work with you step by step to create the perfect inbound marketing campaign to take your customer through all stages of their buyer's journey and convert them to the customers you need to continue to grow and evolve your business.